Feb 18th is American Holiday celebrating President's. We are planning a family camping trip for anyone who wants to experience camping for the first time, or just to relax from Feb 16-18, 2019. We will take care of making the menu, reserving the campsite, cooking your meals, giving you time to explore the area and so much more. Spend the day skiing at one of the ski resorts 30 min from the campsite. 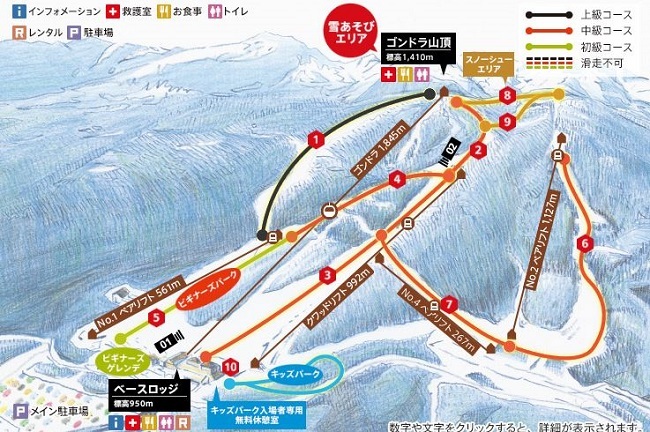 With the deluxe plan, if you don’t know how to ski, Rika will teach both adults and youth how to ski. We will also assist you with getting ski lifts, rental equipment, etc. (See below for more info). Come back and we will have your dinner ready for you. We will have several heaters just in case you get cold. You can stay 2 or 3 days. Please read carefully below. Leave a message if you have any questions. Presently, the campsite has spots for 7 tents in the main area and 4 campers. There is an overflow below the pool for group camping, up to 8 tents. So we are limited on how many people can come on this trip. We will be redeveloping the area to add more camping spots. There will be tons of things for the little ones to do. A Japanese bath will be available on Saturday and Sunday. Tattoos are ok. :) Please make sure you make your reservations. There will be times for family baths and times for normal males/females only. Check in time is after 2000 on Friday night. We ask that you let us know what time you will be arriving so we can prepare for your arrival. Japanese campsites normally close their gates at 1900 and not open until 0800 the next morning. Check out will be by 1800 on Monday. Yeah, that's right, you can relax on the last day and not rush getting out before 1100. Directions to the campsite from google maps. Please fill out the form at the bottom of this page to participate. Leave a message if you have any questions. Moose Camp Resort is an American style camp grounds. It has 22 camping spots on 1.3 acre land. (1652 Tsubo). Each campsite has water and eletric hookup. There are 3 camper trailers and a camping car. One site has a deck looking over a stream and we use this for our dining area. There are two Japanese style baths. One large and one smaller. It also has a jacuzzi, sauna and a swimming pool. The campground is beautifully landscaped with lush of green grass, tall hinoki trees, roses and so many flowers. Moose Camp Resort is located in Nasu in Tochigi Prefecture. It is 3 hours by toll from Camp Zama/Atsugi, 2.5 hours from Yokota/Tokyo and 3.5 hours from Yokosuka. Tolls are about ¥5000. Free road takes about 5 hours from Camp Zama. To save money and time, you can take toll road to Goka (Google Map) and then route 4 all the way to Nasu. Route 4 is a 2-3 lane highway with few lights. Cost drops considerly. There are tons of things to see and do in Nasu. 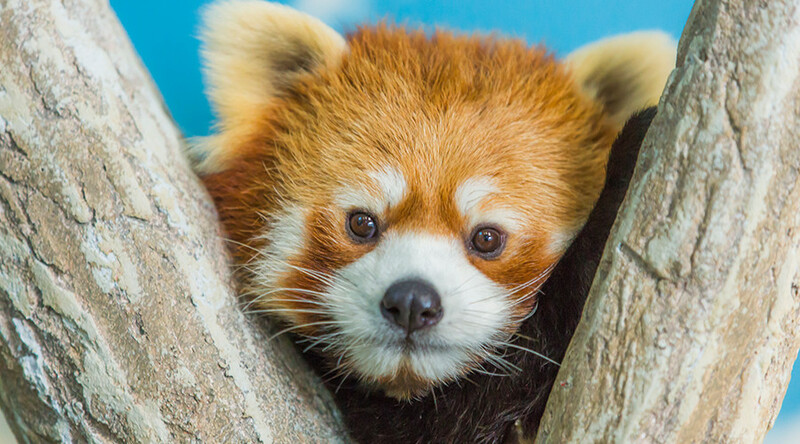 Amusement parks, zoo, safari park, monkey park, museums, and so much more. For more info on what's available, Please look at the bottom of the home page for places to visit. We have been working hard to make our party/dining deck more comfortable in the winter months. We now have a roof above it and adding walls. There is a Maki Stove (Wood Stove) in it to keep you warm and to cook on. Enjoy a relaxing bath Japanese style. Large bath has 3 showers, small one has one. Both have jet streams to relax your muscles. Make sure you reserve your time. Tatoos are ok!! Do you want to do something special on the campout? 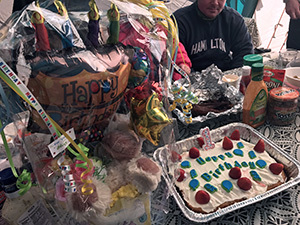 Such as a surprise birthday party, decorations, magic show or another event. Let us know and we will do for you. Friday. Feb 15th. Late checkin. (After 2100) Please let us know about what time you be arriving. 2000 Campfire, make smores/roast marshmallows and enjoy the fire. Brunch 0900 - 1300 Various foods. ** Note: Meals have main course made on the BBQ and in a Dutch Oven, salads, fruits and so much more. You won't go hungry. Meals may vary and change due to many reasons. Main course ranges from Ribs, sausages, kebabs, chicken on the BBQ and stew, roast, cornish hens in dutch oven. Each meal along with many other foods. You won't go hungry. Meals may vary and change due to many reasons. ** Lunches are available upon request. This gives you opportunity to go out and enjoy the area. Lunch Cost is $12 for adults, $8 for Children 11-18, $5 for Children 3-10. Rental Equipment: Tents, chairs, table, etc. is available for rent. We take care of all your needs. Great for the beginners, not knowing how to camp in Japan and for families with children. (Spend your time with your kids) We provide kitchen/dining area, cook meals, clean up so you have more time to relax and enjoy. It gives you more time to spend camping and relaxing with your family, less time to pack, less equipment to bring. Following are Fees for Deluxe Plan: Cost includes entrance, tent/camper fees, kids activities and food. Japanese bath is free. Pets are free. There maybe a $10 cleaning fee if your pet has hair or makes camper dirty. Tent camping: $90 for 3 days/2 nights, $50 for one night. ($10 daily for electic use) There will be power available to charge your phones/IT devices in the party deck. 3 days and 2 nights. Includes 2 breakfast,2 dinners and brunch on Monday, snacks and drinks. Lunch is optional. 2 days and 1 night. Includes 1 breakfast,1 dinner, snacks and drinks. Lunch is optional. Lunches are separate cost as most will be out enjoying the day somewhere else. You are more than welcome to stay at camp and enjoy your day here. Lunch Cost is $12 for adults, $8 for Children 11-18, $5 for Children 3-10. Family of 4 with 2 adults, a 7year old and a 5 year old staying in small camper for 2 nights. Total cost would be $435. With early checkin, this would be 3 nights with 2 breakfast,2 dinners and brunch on Monday, snacks and drinks and you don't have to do anything other than relax and have fun with the family. Returning Customers, Members of Boyscouts/Girlscouts, Zama Kids Culture Club will recieve 10% discount. We purchased this campsite and will be taking it over on April 1st. We rented the campsite and have it to ourselves. We are paying the current cost of Camp Captel for this campout. So we are covering the difference. This is our last group camping trips before we take over the campsite. Electricity for tent site ¥800 daily. Sled park for kids entrance fee 1 day 500 yen, sled rental 500 yen. We have one that you can use. Rental equipment 3,000 yen set includes boots, pole and skiis. Ski suit 2,000 for one day They don't rent gloves, goggles, hats. Tent, if you need one, let us know. Sleeping bag or blankets and sleeping pad. Night time will be cold so make sure you bring plenty to keep warm. Change of clothes. Bring variety of clothes and jacket. Tempature is cold at night so bring warm clothes. *** Campers are older model. Outside doesn't look so pretty. Inside of campers are nice. Since it is not our campsite, we are not sure what issues may arise. Camper has a toliet, water, stove and electricity. Showers in camper do not work. Smaller camper has 1 large bed that sleeps two and two smaller single bunk beds. The larger camper has 7 smaller bunk beds. We are in the process of remodeling them to make them better. Note: We rented out the whole camp ground of Camp Captel (Cap=Camp tel=Hotel) again for this private camping trip. We have started the process of taking over the campsite. We will officially own this campsite in April, 2019 and will be able to bring down the cost. Here is a list of future camp outs we have planned. Nasu Onsen Family 45 min 24km Nasu Onsen Family is a small ski hill on the eastern slopes of Mt Nasu in Nasu town, Tochigi Prefecture. This ski hill is skiers-only, meaning you can't snowboard. There are two pair lifts and one rope-tow lift at this ski hill. Mt Jeans Ski Resort Nasu is close by. Nasu Animal Kingdom 21 km 35 min Park with 600 animals. You can pet many and interact with them. 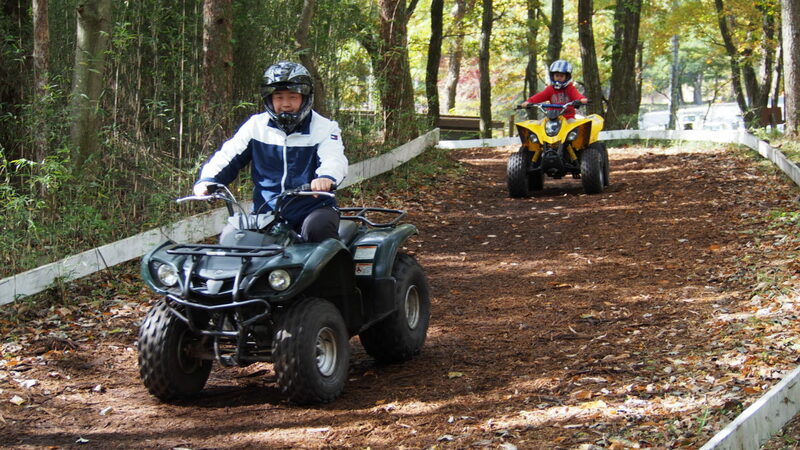 Nasu Buggy Park 17.6 Km 35 Min Rent 4-wheel buggies and drive on set course or off road. Children along with adults can ride and have fun. Nasu Highland Park 21.7 km 44 min The Nasu Highland Park is the biggest amusement park in all of Tochigi and offers something for everyone With over 40 different attractions, including 10 roller coasters. Nasu Rindo Lake View 11.8 Km 21 Min A park boasting a host of activities for all ages. Kids will love meeting farm animals of all types at the petting zoo, including cows, pigs, and sheep. Jump in a paddleboat and coast freely around the lake.